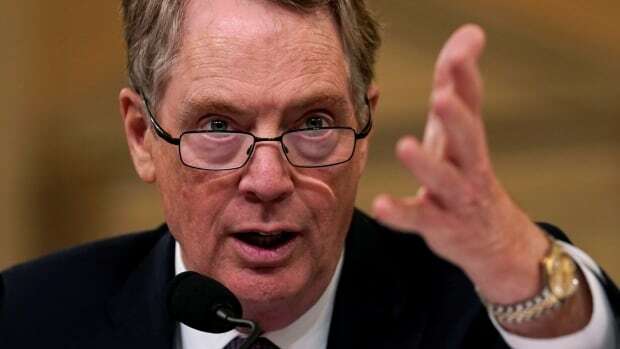 The United States is working on a plan that lifts steel and aluminum tariffs off Mexican and Canadian products while preserving the gains of those tariffs overall, U.S. Trade Representative Robert Lighthizer said on Tuesday. “What I’m trying to do is a have a practical solution to a real problem … get rid of tariffs on these two, let them maintain their historic access to the U.S. market, which I think will allow us to still maintain the benefit of the steel and aluminum program,” Lighthizer told the U.S. Senate Finance Committee in Washington D.C. at a hearing about the World Trade Organization. This week, the federal government announced $100 million in funding for small and medium-sized enterprise steel and aluminum manufacturers in Canada. “In the face of unjust and illegal U.S. tariffs hurting businesses and workers on both sides of the border, our government is standing shoulder to shoulder with our hard-working steel and aluminum workers and the users of their world-class products,” Innovation, Science and Economic Development Minister Navdeep Bains said in a statement. The Canadian government says “escalating commodity prices” and “increasing financial and competitive pressures” have significantly affected small and medium-sized producers operating within Canadian steel and aluminum supply chains.